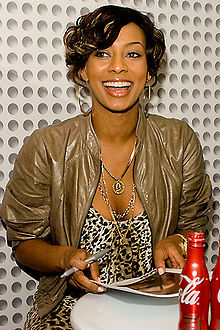 Keri Lynn Hilson (born December 5, 1982) is an American R&B musician, songwriter, and actress. She has had many hit singles. Hilson's first album was released in 2009. Her second album was released in 2010. Hilson acted for the first time in the 2012 romantic comedy movie Think Like a Man. This page was last changed on 8 December 2018, at 01:18.